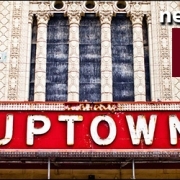 After decades of preservationists pleading for the restoration of the once ornate Uptown Theater, a $75 million dollar plan has come together to bring the 4,381-seat, historic building back to life. And quickly too—the project will begin this fall with plans to open in two years if everything goes smoothly. The surprising news, reported Thursday night by the Chicago Tribune, was met, understandably, with some skepticism given the long wait and false starts. However, “this time it’s for real,” the mayor assured the Tribune’s theater critic in a conversation earlier this week. The 1925 Spanish Baroque Revival movie palace was designed by C.W. Rapp and Geo. L. Rapp and it was known as “an acre of seats in a Magic City,” when it opened. But it’s really not in good shape now. Since closing its doors at 4816 N. Broadway in 1981—the plaster has decayed, paint has peeled, rust has set in, signs have disappeared and overall deterioration has taken hold. Despite how hauntingly romantic it looks in Regina Spektor’s Black and White music video, the landmark building needs quite a lot of attention. In a new partnership, Jam Productions, a Chicago-based promoter, and Farpoint Development, a company started by former Sterling Bay executives, will take on the massive project. 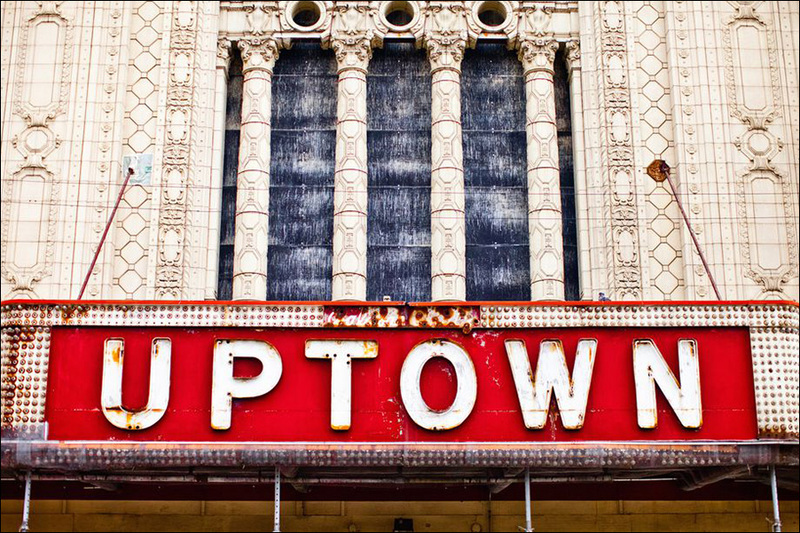 In 2008, Jam Productions took control of Uptown Theater for $3.2 million after a court-ordered foreclosure sale. The state and city will throw in about $49 million in funding from various agencies, and Jam and Farpoint will put together the remaining $26 million. Jam Production knows concert promotion but expects to schedule a variety of events including comedy, dance, and special performances at Uptown. For some shows the main floor seats could be taken out, pushing capacity to 5,800 which rivals the 3,901-seat Auditorium Theatre and the 3,600-seat Chicago Theatre. The team hasn’t selected an architect for the restoration and little is actually known about what will be done with the mix of public and private funds for the restoration, which leaves architecture critic Blair Kamin with a lot of questions. For instance, is $75 million actually enough to fully restore the theater? 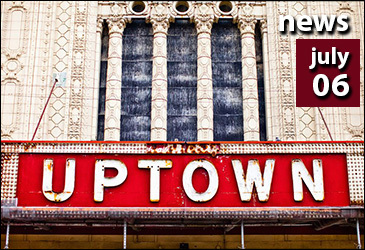 Uptown’s recent infrastructure improvements might have played a role in why the theater’s restoration is happening now. The new $203 million Wilson Red Line station, part of the CTA’s modernization project, likely means good things are coming for the Lawrence station just steps away from the theater.